With so many great releases by DWX artists during the last weeks I thought it’s time for a new mix! Of course, Da Tweekaz’s new Disney remix is included! 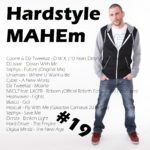 This entry was posted in Hardstyle MAHEm, Podcasts and tagged Da Tweekaz, DirtyWorkz, Hardstyle, iTunes, Mix, Tracklist by mahe. Bookmark the permalink.